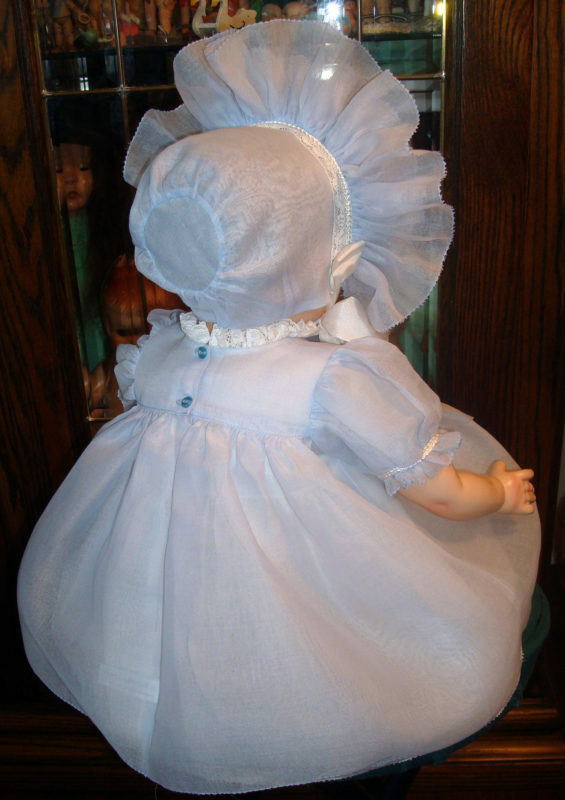 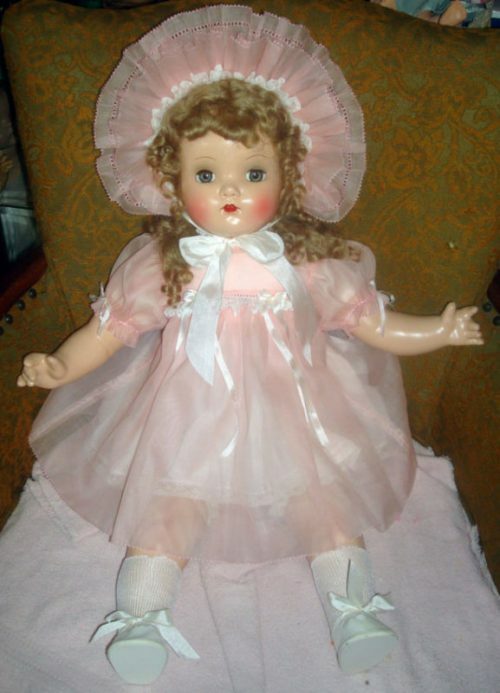 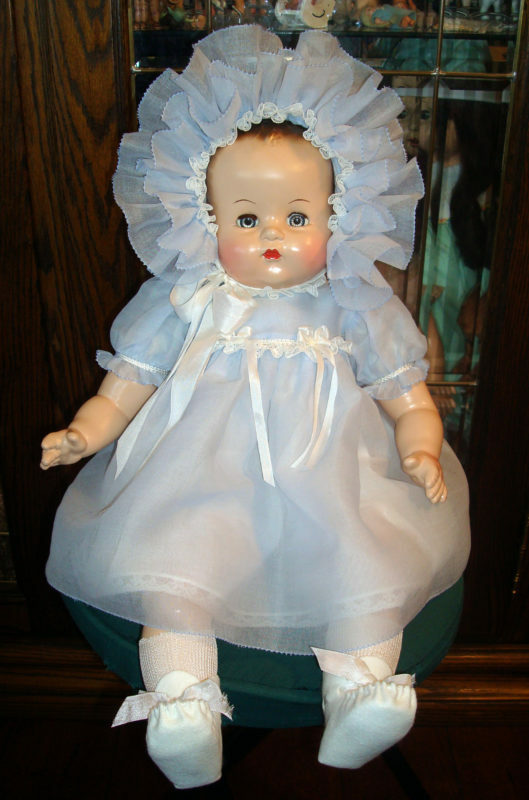 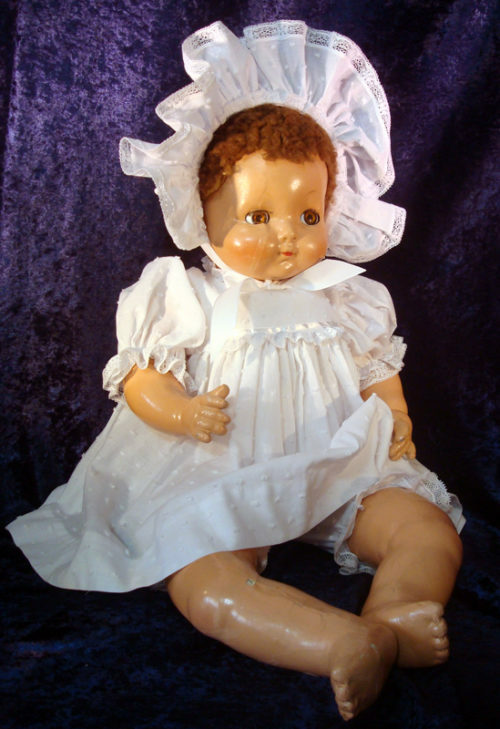 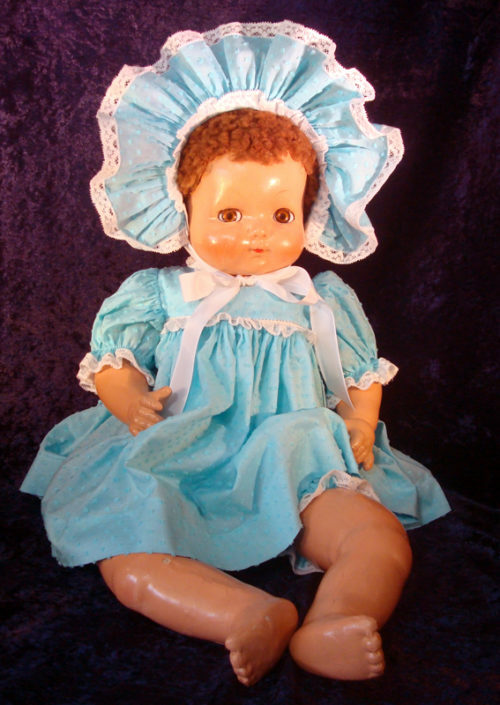 This Organdy Baby Doll Dress, Bonnet, Slip is lined and has an attached cotton batiste slip. 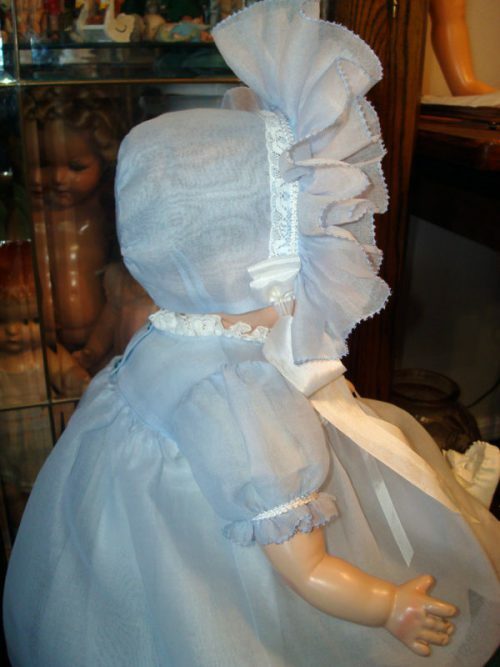 This sweet Baby Doll Dress & Bonnet have been made in a vintage, powder blue cotton organdy trimmed in cotton lace and adorned with silk ribbon. 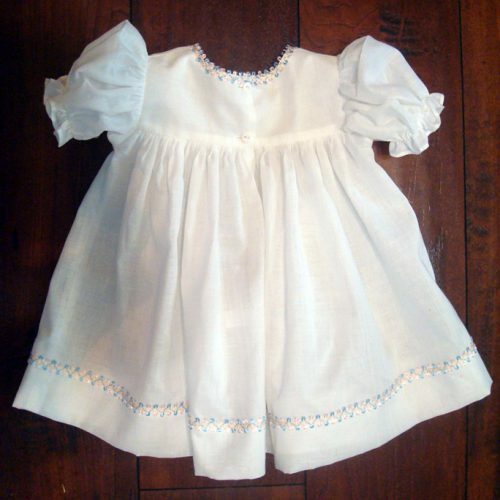 The dress closes in the back with two tiny buttons. The bonnet ruffles, dress sleeves and bottom of the skirt have a darker picot hemstitch stitch. 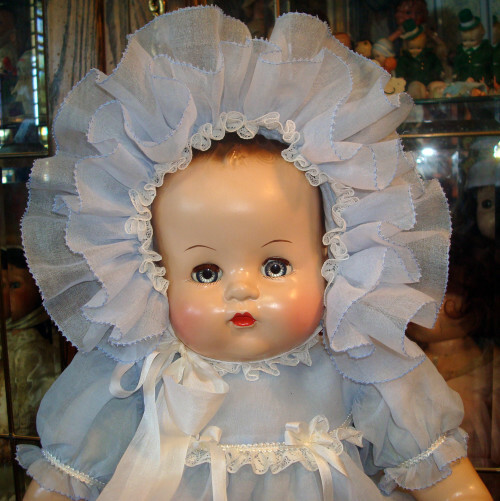 The larger sizes may have a double ruffle on the bonnet. 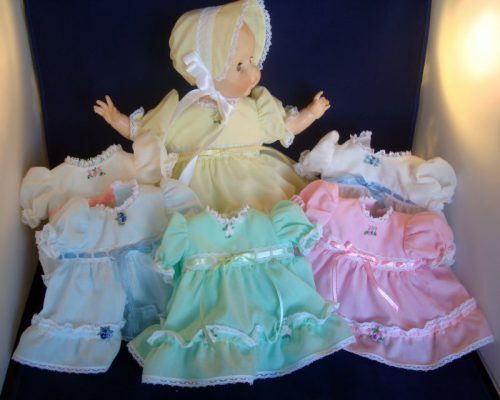 Don’t forget bloomers, vintage baby doll booties, and socks to complete your babies outfit.